Origin and Habitat: Garden origin. Mr. Krauss in Dresden, Germany, developed it in his collection. 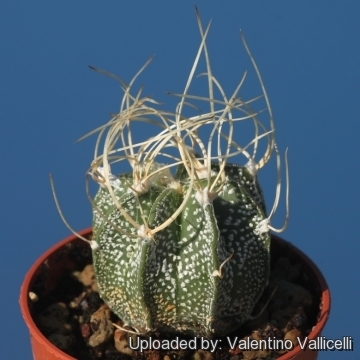 Description: Astrophytum capricorne subsp. senile cv. 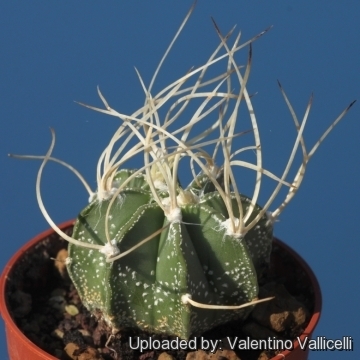 Krausii is a variety of Astrophytum senile with pure white spines and a yellow flower but without the typical red throat. 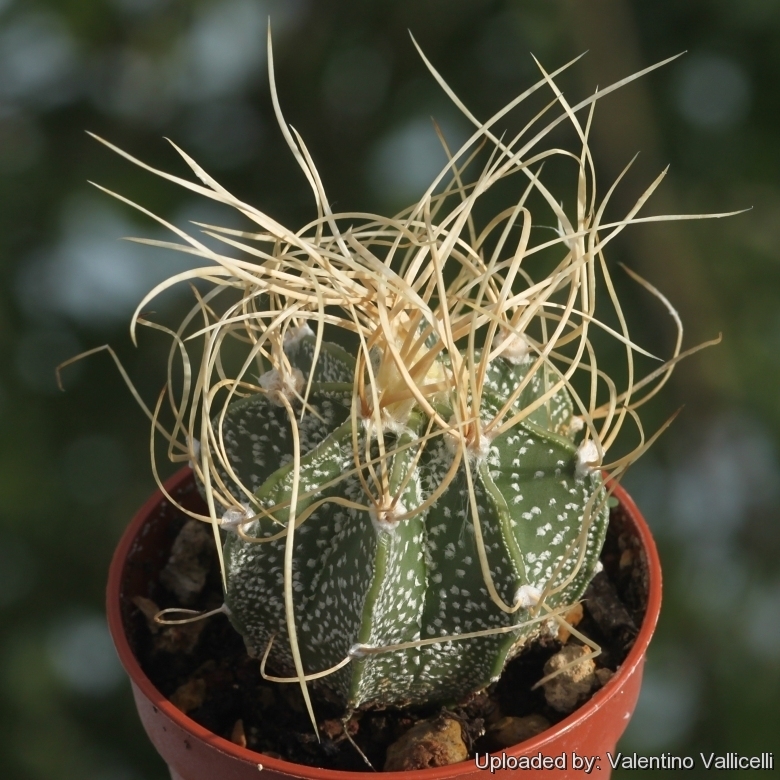 It is a stable mutation and comes true from seeds. Stem: Spherical to short cylindrical, up to 15 cm in diameter, epidermis dark green, almost naked or covered with with very few white hair-tufts. Young specimen have often numerous white dots that diminish with time. Ribs: 7-9 (usually 8) sharply acute. 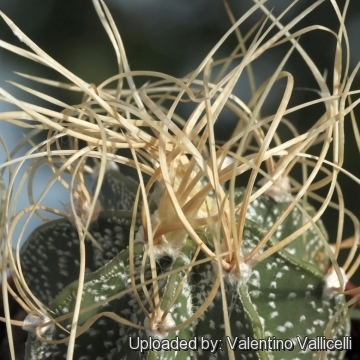 Spines: 16 to 20(-30), candid white, bristly, flexible, square in cross-section, 5 to 7(-10) cm long and pointing in all directions that often form up spirals, they are so densely nest wrapped that the body is hardly visible and looks like a dry grass bundle. The lateral ones grows horizontally sideways at first and then buckle while the others point more or less upwards. After rain they get wet and become very flabby. Flowers: Very showy, 6-10 cm in diameter, uniformly yellow without the typical red centre. Blooming season: Flowers are freely produced in mid-summer from seedlings of 5 years of age. Fruit: Indeischent or splitting open by a basal irregular pore.